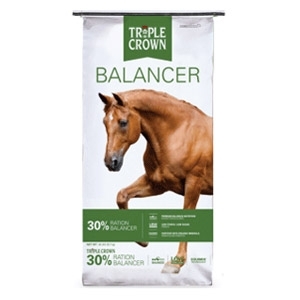 Features a nutritious, corn free and soybean free recipe that supplements its essential goodness with EquiMix® Organics, a unique combination of advanced supplements formulated to keep your horse at its healthiest. 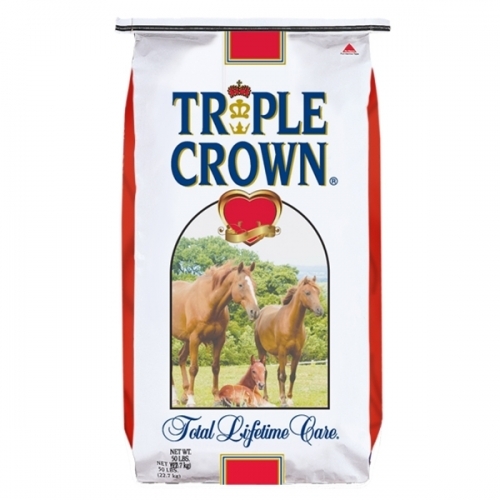 Triple Crown® Naturals is the first premium feed of its kind to provide horses with wholesome, solid nutrition, just as Mother Nature intended. 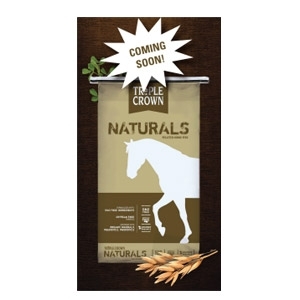 Featuring a healthy recipe that’s made with GMO free and soybean free ingredients, and includes essential vitamins and nutrients, Triple Crown® Naturals is the perfect feed for owners who know real nutrition starts with real ingredients. 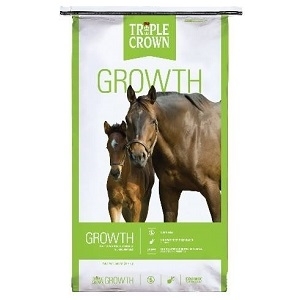 Triple Crown® Growth Textured Horse Feed is an equine feed product for weanlings, yearlings, and broodmares fortified to provide protein, essential amino acids, vitamins, macro minerals, trace minerals, bacteria and enzymes. 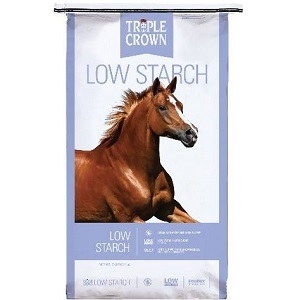 Triple Crown Training is an oat-based, corn free, high fat feed perfect for hardworking horses that require a higher caloric intake. 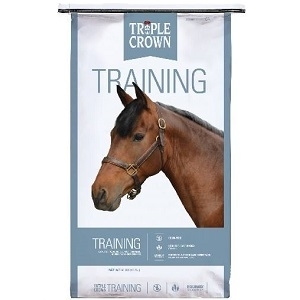 High in digestible fibers, Triple Crown Training is the first Triple Crown feed to contain fish oil and flaxseed to dramatically increase Omega-3 fatty acid levels, which assist in decreasing inflammatory responses following intense exercise. 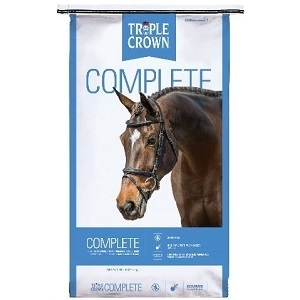 Triple Crown® Total Lifetime Care Pelleted Horse Feed provides a pelleted form of the popular Triple Crown® beet pulp based feeds (Growth, Complete & Senior). 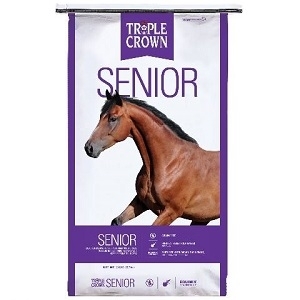 Formulated to be fed to horses of any age, from foals to seniors. 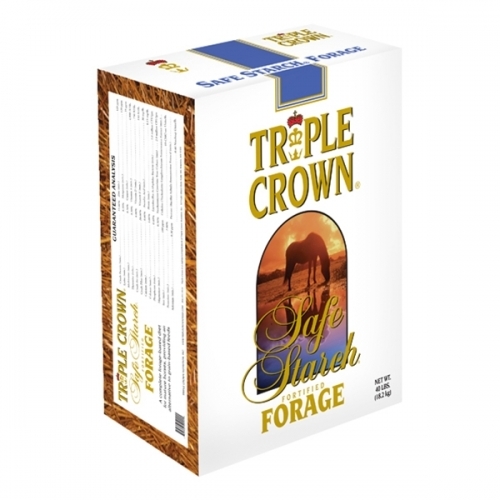 Fortified to provide protein, essential amino acids, vitamins, macro minerals, trace minerals, bacteria and enzymes. 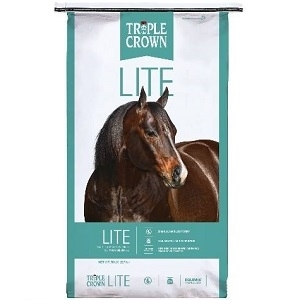 Total Lifetime Care will not brick in the winter or attract flies in the summer.